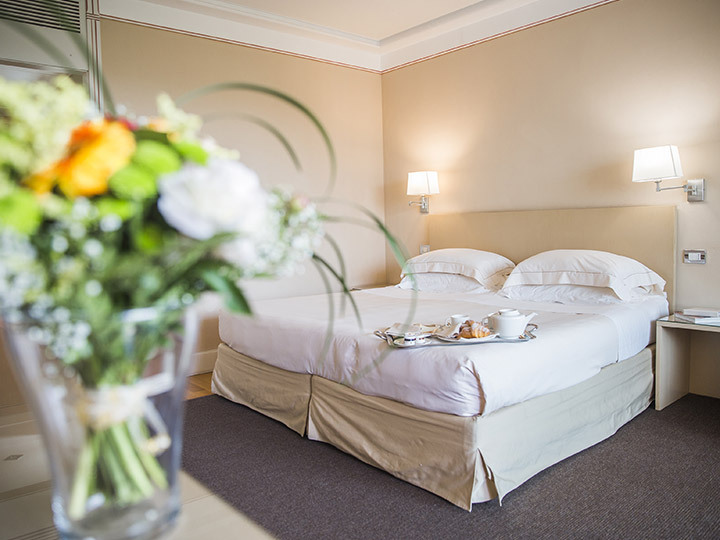 The Hotel Acquaviva del Garda overlooks the shores of the lake. Its large park, swimming pools and private beach provide unforgettable moments of relaxation and full enjoyment of the beauty of the place. The interior of the rooms reflect the love for design and art, in a pleasing contrast between modern furniture and collection pieces. The wellness area is large, as is the offer of treatments and every room is designed for psychophysical wellness. 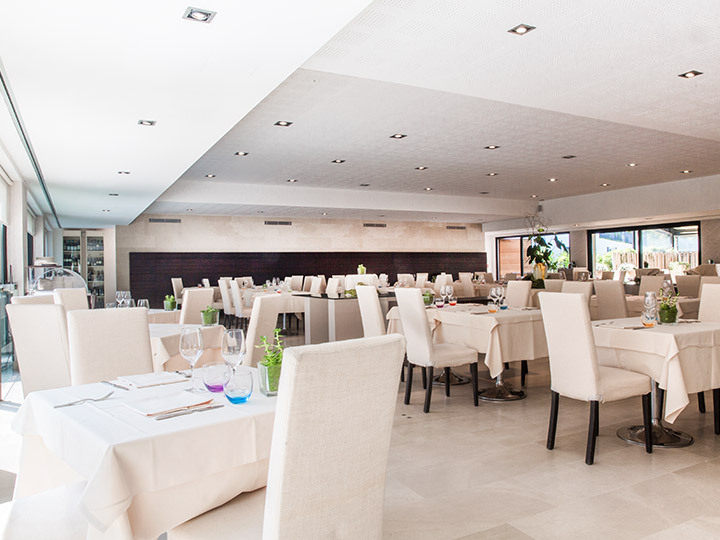 The restaurant, furnished with a splendid terrace overlooking the lake, offers a healthy cuisine that interprets the flavours and aromas of the territory. 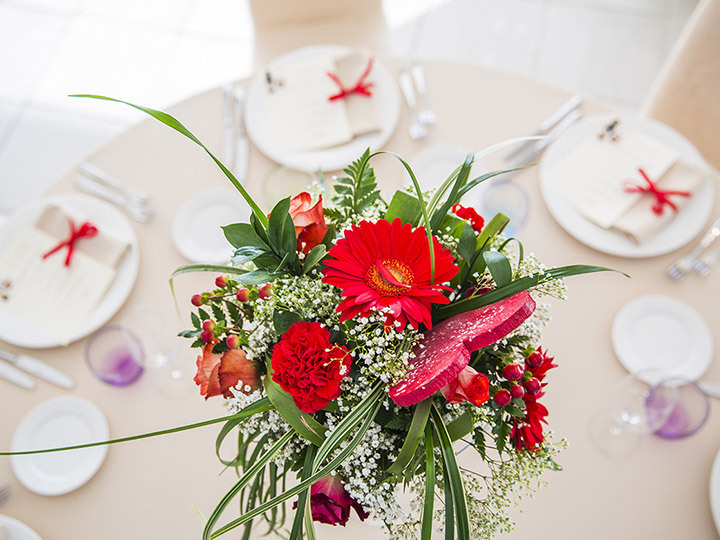 The hotel is fully equipped for MICE and, thanks to its large, dedicated spaces, the location is not only ideal for meeting and company conferences but also for glorious weddings and private events. 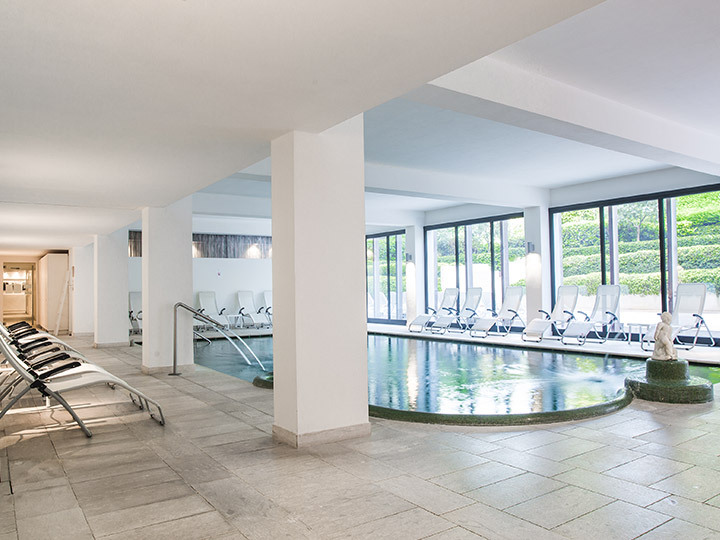 A large wellness centre for moments of pure, intensive relaxation. 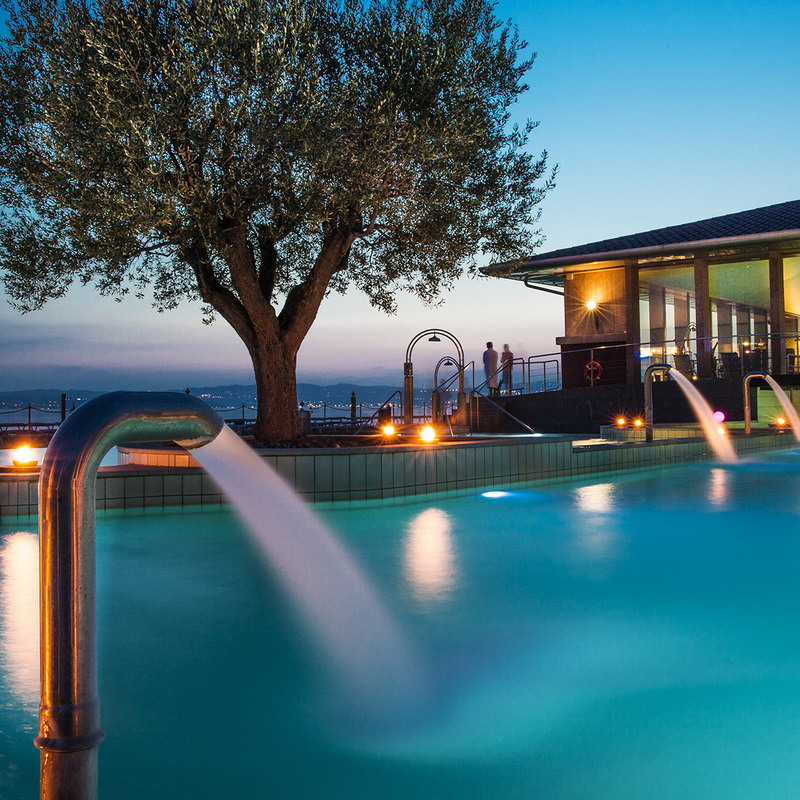 An experience of pure relaxation and thermal wellness in a magical place, surrounded by the spectacular setting of Lake Garda. 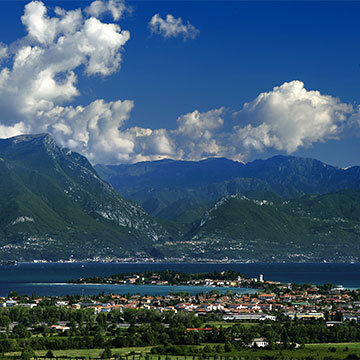 A little pearl on Lake Garda, surrounded by countless natural and cultural wonders.